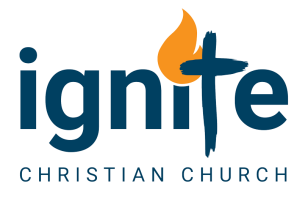 Comparisons In The Bible Archives - Ignite Christian Church is the next area of weakness that God can transform. In this series on how God can transform our weaknesses into strengths we are going to have to confront a few uncomfortable aspects of our characters, believing God can change them.. Last week we talked about insecurities, and how these are planted by the past and things that have been said and done to us, watered by current circumstances, but can affect every aspect of our lives. Today I want to talk about one of the most subtle but destructive weaknesses that we all have, and rarely discuss… comparisons. Comparisons are not in themselves destructive, because we compare brands, cereal, or cars, or other products all the time, so in that sense comparisons are good. But apply them to people, and you can create a destructive mix in so many ways. COMPARED TO YOU, I’M OK! Galatians 6:3-5 (ESV Strong's) For if anyone thinks he is something, when he is nothing, he deceives himself. But let each one test his own work, and then his reason to boast will be in himself alone and not in his neighbor. For each will have to bear his own load. In this passage Paul is speaking against comparisons with others, saying test your own work, so your reason to boast is in your own self, not comparing yourself to someone else. Comparisons are rarely constructive and almost always destructive. They give rise to envy, and envy is the daughter of pride and the mother of all kinds of evil. Think about it… if you compare yourself with someone worse than you, you feed your pride. If you compare yourself with someone better than you, you feel discouraged. Where’s the win in comparisons? It’s lose, lose. Comparisons inevitably give rise to envy, which the dictionary defines as “a feeling of discontent or covetousness with regard to another’s advantages, success, possessions, etc.” Harold Coffin said, “Envy is the art of counting your neighbours’ blessings instead of your own.” Socrates elaborating on its effects said, “Envy is the daughter of pride, the author of murder and revenge, the begetter of secret sedition, the perpetual tormenter of virtue. Envy is the filthy slime of the soul; venom, a poison, a quicksilver, which consumeth the flesh and drieth up the bones.” In the Bible, envy is what tore families apart… look at what Jacob’s children did to Jospeh in Genesis 37 when Jacob favoured one child over another. Comparisons and envy drove Saul to attempted murder, David to adultery, and the Pharisees to prideful arrogance. So let’s make the origin of comparisons and hence envy clear. Envy is listed as a fruit of the flesh, not the Spirit in Galatians 5:19-21. James goes further and describes it as demonic… James 3:14-16 (ESV Strong's) But if you have bitter jealousy (envy) and selfish ambition in your hearts, do not boast and be false to the truth. This is not the wisdom that comes down from above, but is earthly, unspiritual, demonic. For where jealousy and selfish ambition exist, there will be disorder and every vile practice. Comparison gives rise to envy, and envy dark and diabolical, it is never good and never God. So what causes us to compare ourselves to others and hence envy or despise others? Last week we looked at the incredibly destructive power of insecurities, and these same insecurities cause us to feel threatened or envious of someone else’s success. Don’t tell me you don’t struggle with this, because we all do. 1 Samuel 18:7-9 (ESV Strong's) And the women sang to one another as they celebrated, “Saul has struck down his thousands, and David his ten thousands.” And Saul was very angry, and this saying displeased him. He said, “They have ascribed to David ten thousands, and to me they have ascribed thousands, and what more can he have but the kingdom?” And Saul eyed David from that day on. It was this comparison that drove Saul to try to murder David. Envy is a poison that every one of us must fight, and it is fuelled by our insecurities. How do you feel when someone gains success that you want? How do you feel when the other guy gets a raise, or when someone else gets an award? Can you genuinely feel happy for them without comparison or envy. I recently was part of the Father of the Year awards, and we had 5 finalists. I heard their stories, and honestly I would say at least two of the contestants were more worthy of the honour than I. Even though I won, comparisons and even envy of what they had achieved were impossible to avoid. 2 Corinthians 10:17-18 (ESV Strong's) “Let the one who boasts, boast in the Lord.” For it is not the one who commends himself who is approved, but the one whom the Lord commends. When you compare yourself to others, you inevitably find someone who has something you want or desire. I go to conferences at other churches, visit the toilet and experience toilet envy. I compare beautiful urinals at beautiful churches and think, “we have two hundred year old holes in the ground.” I drive into their car parks and compare them with Max playing car Tetris every week! My friend Bill Newman paraphrases Exodus 20 when he says, “Thou shalt not covet thy neighbours Crystal Cathedral!” I have a nice house, but it’s not a luxury mansion, and it’s not on a canal. I have a nice car, but it’s not a Tesla. I have some good computers, but there’s always better out there. I have some money, but someone else is always richer than me. Comparisons of material things are never helpful! Deuteronomy 5:21 (ESV Strong's) “‘And you shall not covet your neighbor's wife. And you shall not desire your neighbor's house, his field, or his male servant, or his female servant, his ox, or his donkey, or anything that is your neighbor's.’ Comparisons lead to greed and envy that breaks one of the Ten Commandments. The richest man in modern history is not Bill Gates or Richard Branson, it was oil tycoon JD Rockefeller. He was once asked by a reporter, how much money is enough and he responded, “Just a little bit more.” An often misquoted scripture is this… 1 Timothy 6:10 (ESV Strong's) For the love of money is a root of all kinds of evils. It is through this craving that some have wandered away from the faith and pierced themselves with many pangs. Money isn’t evil, the love of money is the root of all kinds of evil. Why? Because of greed, and comparison and envy. Listen, if you don’t compare yourself with what others have or have not, and you can go a long way to avoiding the problem of greed. Pride is the basis of all sin, because pride makes you disobedient to God. And trust me, pride is alive and well in our world, and even in the church! I stopped going to certain Optometry conventions because they were all about your car and house and practice size and success instead of treatment regimes. Pastor’ conferences can be similarly about church sizes, facilities, successes, all couched in a pseudo humble vocabulary. They gave me a badge for humility, but they took it off me because I wore it! If insecurities and coveting involve you comparing yourself by looking up to others, ego and pride are you comparing yourself looking down at others. Jesus shared this parable… Luke 18:10-14 (ESV Strong's) “Two men went up into the temple to pray, one a Pharisee and the other a tax collector. The Pharisee, standing by himself, prayed thus: ‘God, I thank you that I am not like other men, extortioners, unjust, adulterers, or even like this tax collector. I fast twice a week; I give tithes of all that I get.’ But the tax collector, standing far off, would not even lift up his eyes to heaven, but beat his breast, saying, ‘God, be merciful to me, a sinner!’ I tell you, this man went down to his house justified, rather than the other. For everyone who exalts himself will be humbled, but the one who humbles himself will be exalted.” When we see someone less fortunate and less successful, we should be moved with compassion and love, and we should endeavour to help them, not feel superior! Comparison in this case causes pride, and Jesus is scathing in His judgement. He hates pride, especially religious pride! Ecclesiastes 4:4 (ESV Strong's) Then I saw that all toil and all skill in work come from a man's envy of his neighbor. This also is vanity and a striving after wind. Psalms 73:3 (ESV Strong's) For I was envious of the arrogant when I saw the prosperity of the wicked. It’s frustrating to see someone else prosper, especially if they are wicked, while we are still waiting for God to come through for us. God’s timetable is inevitably longer than mine. We lost all our money but kept trying to serve and honour the Lord, and we saw out and out crooks growing rich ripping other people off! Habakkuk was a frustrated prophet. He starts his book in the Bible frustrated at how long God is taking to prosper His people, and says, Habakkuk 1:13 (ESV Strong's) why do you idly look at traitors and remain silent when the wicked swallows up the man more righteous than he? Comparisons is what fuels frustrations that lead to envy and all kinds of evil. In modern Australia victimisation is rampant. Comparison leads to many people thinking they are constantly victims. Victims of their past, victims of circumstances, victims of society. People play the victim card because it absolves them of any responsibility. It’s not my fault! Get on Facebook for 2 minutes and you will see people playing the victim card again and again. “Look at what’s happened to poor old me, I never get a break, my life is lousy.” No mention of the bad decisions, the bad attitudes, the continued failure to repent and change, it’s just woe is me! I went to my psychiatrist to be psychoanalyzed to find out why I killed the cat and blacked my husband’s eyes. He laid me on a downy couch to see what he could find, so this is what he dredged up from my subconscious mind. When I was one, my mommy hid my dolly in a trunk; and so it follows naturally that I am always drunk. When I was two, I saw my father kiss the maid one day, and that is why I suffer now from klep-to-men-I-A”. At three I had the feeling of ambivalence towards my brothers, and so it follows naturally I poisoned all my lovers. But I am happy; now I’ve learned the lesson this has taught; THAT EVERYTHING I DO THAT’S WRONG – IS SOMEONE ELSE’S FAULT. But the Bible calls us to be victors, not victims… Romans 8:37 (ESV Strong's) No, in all these things we are more than conquerors through him who loved us. So stop comparing yourself to and then blaming everyone else, step up, and take responsibility for what you say and do. Our world is full of people comparing themselves and telling themselves it’s ok to feel like a victim. It is not ok, the victim mentality is one of the sins that result from comparing and self victimisation. So how can we counteract this common and destructive character flaw, and how can God make this weakness into a strength? Comparison is the root from which envy, coveting, and seeing yourself as a victim grow. Now, let’s look at how can God transform this far reaching weakness into a strength in your life? Here are 3 ways you can transform the weakness of comparisons, envy and discontent and turn that weakness into a strength in your life. We live in a world that is steeped in marketing, and the first step of marketing is to make you discontent. I remember 30 years ago standing in a slum in Mumbai meeting people who had nothing, but were so happy. I noticed that they plugged a power cord into next door’ power and ran cables throughout the entire slum, and that ever little shanty or bit of tin had a TV. An Indian with me said that in one year, everyone would be miserable, because they see on TV what everyone else has and they didn’t have. Comparison breeds discontentment. Philosopher Arthur Schopenhauer said, “Wealth is like seawater: the more you drink, the thirstier you become.” Comparisons are the basis of being discontented with your lot in life. 1 Timothy 6:6-8 (ESV Strong's) But godliness with contentment is great gain, for we brought nothing into the world, and we cannot take anything out of the world. But if we have food and clothing, with these we will be content. Paul’s perspective… you brought nothing into the world, you started as a naked newborn. And you take nothing out of life, as Dr Colin shared recently, Two kids sitting on a hill watching a funeral. One says to the other, “Whose funeral?” “That’s the local millionaire,” said his friend. “So how much money did he leave behind?” The answer… “All of it.” Step back. Look at all the wonderful blessings you have in life. In this country, even the poorest have so much to be thankful for, yet we are probably the most discontented generation in history! God blesses us. And we should be content with His blessings. Look at what you have, look at the people who love you. But comparisons rob us of our contentment. I was feeling content with my guitar playing ability until I saw Joe Walsh and Stuart Smith play live at the Eagles concert last week, and now I’m very discontent! Now remember, there is a difference between being content and settling for less, so you can be content with what God has done and is doing, but still have ambition to become greater. The second antidote to comparisons, envy and coveting is having a generous spirit. Even in our darkest financial hours, Fiona and I have always been determined to remain generous. Those of you who know us well realise that I am always the first to try and pay when we go out to dinner. I often lend my stuff out, even my car or computer, because I don’t want to grasp at things. Often we refuse to be generous because we are fearful of loss, but the Bible says, Luke 6:38 (ESV Strong's) give, and it will be given to you. Good measure, pressed down, shaken together, running over, will be put into your lap. For with the measure you use it will be measured back to you.” If you measure out what you give with a tea spoon, God will spoon it back at you. If you measure it with a shovel, God will shovel blessings back to you. If you measure your giving with a dump truck, look out, you’ll be overwhelmed with blessing! A generous spirit counteracts the envy and coveting caused by comparisons. If you don’t value stuff to the point where you can freely share it, then it has no hold over you, and comparisons lose their power to distort your view of life. Comparing yourself with others, noting what you lack and what you have more of, is never a productive thing, yet if we are honest we all struggle with it in some way, even if we seem rich, successful and outwardly content. There is always someone better off, someone richer, someone more successful for you to be envious of. There is always someone less well off than you for you to feel superior to. Both results of comparison are wrong, and both, frankly, are sin. Before you rush out to find a better job, a better house, a better car, a better church or a better wife, stop and have a gratitude attitude about what the Lord has already given you. The greatest sin of the western world is an ungrateful spirit! When flying an airplane, the angle of the plane to the horizon is called its attitude, and is measured by the Attitude Indicator or artificial horizon. The height above the ground the plane is flying at is called the altitude, measured by the altimeter. There is a terrific saying that is true in an airplane or in your life… attitude determines altitude. The angle of your plane determines the altitude you can reach, so our attitude needs to be one that points us up. Stop comparing yourself with others, take your eyes off your circumstances and surroundings and life your eyes to the Lord. Psalms 121:1-4 (ESV Strong's) I lift up my eyes to the hills. From where does my help come? My help comes from the Lord, who made heaven and earth. He will not let your foot be moved; he who keeps you will not slumber. Behold, he who keeps Israel will neither slumber nor sleep. Let me ask you, are you content, or are you comparing? I want you to think about one major lack you have noticed compared to others. In a moment we will pray and give it to the Lord. But first I want to ask who of you feels they have been compared to a sibling or someone close and chosen against? This could be particularly relevant for divorced people, where they kids compare the performance of the two parents. If someone you love, your kids, your parents, your spouse adversely compares you, this is for you. You need to know that you are not an accident, and not a second class citizen, you are fearfully and wonderfully made, before you were born, the Bible says, God set you apart. Let’s give that hurt and pain to the Lord right now. It’s time to stop comparing and start living the life God has destined for you. But you cannot live this life if you don’t know God, or are far from Him. Comparisons in your hands, drop them. If you struggle because you compare yourself to others, or because someone you love adversely compares you to another, I want to pray with you. Comparisons is the next area of weakness that God can transform. In this series on how God can transform our weaknesses into strengths we are going to have to confront a few uncomfortable aspects of our characters, believing God can change them.. Last week we talked about insecurities, and how these are planted by the past and things that have been said and done to us, watered by current circumstances, but can affect every aspect of our lives. Today I want to talk about one of the most subtle but destructive weaknesses that we all have, and rarely discuss… comparisons. Comparisons are not in themselves destructive, because we compare brands, cereal, or cars, or other products all the time, so in that sense comparisons are good. But apply them to people, and you can create a destructive mix in so many ways. For if anyone thinks he is something, when he is nothing, he deceives himself. But let each one test his own work, and then his reason to boast will be in himself alone and not in his neighbor. For each will have to bear his own load. In this passage Paul is speaking against comparisons with others, saying test your own work, so your reason to boast is in your own self, not comparing yourself to someone else. Comparisons are rarely constructive and almost always destructive. They give rise to envy, and envy is the daughter of pride and the mother of all kinds of evil. Think about it… if you compare yourself with someone worse than you, you feed your pride. If you compare yourself with someone better than you, you feel discouraged. Where’s the win in comparisons? It’s lose, lose. In the Bible, envy is what tore families apart… look at what Jacob’s children did to Jospeh in Genesis 37 when Jacob favoured one child over another. Comparisons and envy drove Saul to attempted murder, David to adultery, and the Pharisees to prideful arrogance. But if you have bitter jealousy (envy) and selfish ambition in your hearts, do not boast and be false to the truth. This is not the wisdom that comes down from above, but is earthly, unspiritual, demonic. For where jealousy and selfish ambition exist, there will be disorder and every vile practice. Comparison gives rise to envy, and envy dark and diabolical, it is never good and never God. So what causes us to compare ourselves to others and hence envy or despise others? Last week we looked at the incredibly destructive power of insecurities, and these same insecurities cause us to feel threatened or envious of someone else’s success. Don’t tell me you don’t struggle with this, because we all do. And Saul was very angry, and this saying displeased him. He said, “They have ascribed to David ten thousands, and to me they have ascribed thousands, and what more can he have but the kingdom?” And Saul eyed David from that day on. It was this comparison that drove Saul to try to murder David. Envy is a poison that every one of us must fight, and it is fuelled by our insecurities. How do you feel when someone gains success that you want? How do you feel when the other guy gets a raise, or when someone else gets an award? Can you genuinely feel happy for them without comparison or envy. I recently was part of the Father of the Year awards, and we had 5 finalists. I heard their stories, and honestly I would say at least two of the contestants were more worthy of the honour than I. Even though I won, comparisons and even envy of what they had achieved were impossible to avoid. “Let the one who boasts, boast in the Lord.” For it is not the one who commends himself who is approved, but the one whom the Lord commends. I have a nice house, but it’s not a luxury mansion, and it’s not on a canal. I have a nice car, but it’s not a Tesla. I have some good computers, but there’s always better out there. I have some money, but someone else is always richer than me. Comparisons of material things are never helpful! Comparisons lead to greed and envy that breaks one of the Ten Commandments. Money isn’t evil, the love of money is the root of all kinds of evil. Why? Because of greed, and comparison and envy. Listen, if you don’t compare yourself with what others have or have not, and you can go a long way to avoiding the problem of greed. Pride is the basis of all sin, because pride makes you disobedient to God. And trust me, pride is alive and well in our world, and even in the church! I stopped going to certain Optometry conventions because they were all about your car and house and practice size and success instead of treatment regimes. Pastor’ conferences can be similarly about church sizes, facilities, successes, all couched in a pseudo humble vocabulary. They gave me a badge for humility, but they took it off me because I wore it! When we see someone less fortunate and less successful, we should be moved with compassion and love, and we should endeavour to help them, not feel superior! Comparison in this case causes pride, and Jesus is scathing in His judgement. He hates pride, especially religious pride! Then I saw that all toil and all skill in work come from a man's envy of his neighbor. This also is vanity and a striving after wind. For I was envious of the arrogant when I saw the prosperity of the wicked. It’s frustrating to see someone else prosper, especially if they are wicked, while we are still waiting for God to come through for us. God’s timetable is inevitably longer than mine. We lost all our money but kept trying to serve and honour the Lord, and we saw out and out crooks growing rich ripping other people off! why do you idly look at traitors and remain silent when the wicked swallows up the man more righteous than he? Comparisons is what fuels frustrations that lead to envy and all kinds of evil. In modern Australia victimisation is rampant. Comparison leads to many people thinking they are constantly victims. Victims of their past, victims of circumstances, victims of society. People play the victim card because it absolves them of any responsibility. It’s not my fault! Get on Facebook for 2 minutes and you will see people playing the victim card again and again. “Look at what’s happened to poor old me, I never get a break, my life is lousy.” No mention of the bad decisions, the bad attitudes, the continued failure to repent and change, it’s just woe is me! to find out why I killed the cat and blacked my husband’s eyes. so this is what he dredged up from my subconscious mind. and so it follows naturally that I am always drunk. and that is why I suffer now from klep-to-men-I-A”. and so it follows naturally I poisoned all my lovers. THAT EVERYTHING I DO THAT’S WRONG – IS SOMEONE ELSE’S FAULT. No, in all these things we are more than conquerors through him who loved us. So stop comparing yourself to and then blaming everyone else, step up, and take responsibility for what you say and do. Our world is full of people comparing themselves and telling themselves it’s ok to feel like a victim. It is not ok, the victim mentality is one of the sins that result from comparing and self victimisation. We live in a world that is steeped in marketing, and the first step of marketing is to make you discontent. I remember 30 years ago standing in a slum in Mumbai meeting people who had nothing, but were so happy. I noticed that they plugged a power cord into next door’ power and ran cables throughout the entire slum, and that ever little shanty or bit of tin had a TV. An Indian with me said that in one year, everyone would be miserable, because they see on TV what everyone else has and they didn’t have. Comparison breeds discontentment. Philosopher Arthur Schopenhauer said, “Wealth is like seawater: the more you drink, the thirstier you become.” Comparisons are the basis of being discontented with your lot in life. But godliness with contentment is great gain, for we brought nothing into the world, and we cannot take anything out of the world. But if we have food and clothing, with these we will be content. Step back. Look at all the wonderful blessings you have in life. In this country, even the poorest have so much to be thankful for, yet we are probably the most discontented generation in history! God blesses us. And we should be content with His blessings. Look at what you have, look at the people who love you. But comparisons rob us of our contentment. I was feeling content with my guitar playing ability until I saw Joe Walsh and Stuart Smith play live at the Eagles concert last week, and now I’m very discontent! Now remember, there is a difference between being content and settling for less, so you can be content with what God has done and is doing, but still have ambition to become greater. The second antidote to comparisons, envy and coveting is having a generous spirit. Even in our darkest financial hours, Fiona and I have always been determined to remain generous. Those of you who know us well realise that I am always the first to try and pay when we go out to dinner. I often lend my stuff out, even my car or computer, because I don’t want to grasp at things. If you measure out what you give with a tea spoon, God will spoon it back at you. If you measure it with a shovel, God will shovel blessings back to you. If you measure your giving with a dump truck, look out, you’ll be overwhelmed with blessing! A generous spirit counteracts the envy and coveting caused by comparisons. If you don’t value stuff to the point where you can freely share it, then it has no hold over you, and comparisons lose their power to distort your view of life. Comparing yourself with others, noting what you lack and what you have more of, is never a productive thing, yet if we are honest we all struggle with it in some way, even if we seem rich, successful and outwardly content. There is always someone better off, someone richer, someone more successful for you to be envious of. There is always someone less well off than you for you to feel superior to. Both results of comparison are wrong, and both, frankly, are sin. Before you rush out to find a better job, a better house, a better car, a better church or a better wife, stop and have a gratitude attitude about what the Lord has already given you. The greatest sin of the western world is an ungrateful spirit! When flying an airplane, the angle of the plane to the horizon is called its attitude, and is measured by the Attitude Indicator or artificial horizon. The height above the ground the plane is flying at is called the altitude, measured by the altimeter. There is a terrific saying that is true in an airplane or in your life… attitude determines altitude. The angle of your plane determines the altitude you can reach, so our attitude needs to be one that points us up. Stop comparing yourself with others, take your eyes off your circumstances and surroundings and life your eyes to the Lord. I lift up my eyes to the hills. From where does my help come? My help comes from the Lord, who made heaven and earth. He will not let your foot be moved; he who keeps you will not slumber. Let me ask you, are you content, or are you comparing? I want you to think about one major lack you have noticed compared to others. In a moment we will pray and give it to the Lord. But first I want to ask who of you feels they have been compared to a sibling or someone close and chosen against? This could be particularly relevant for divorced people, where they kids compare the performance of the two parents. If someone you love, your kids, your parents, your spouse adversely compares you, this is for you. You need to know that you are not an accident, and not a second class citizen, you are fearfully and wonderfully made, before you were born, the Bible says, God set you apart. Let’s give that hurt and pain to the Lord right now. It’s time to stop comparing and start living the life God has destined for you. But you cannot live this life if you don’t know God, or are far from Him. Comparisons in your hands, drop them. If you struggle because you compare yourself to others, or because someone you love adversely compares you to another, I want to pray with you.